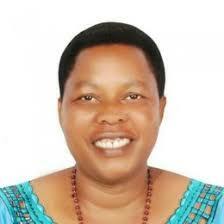 The by-election for the Rukungiri District Woman representative in Parliament will be held on Thursday May 31, 2018, the Electoral Commission (EC) has said. Addressing journalists in Kampala on Thursday, EC deputy chairperson Hajjat Aisha Lubega said the update of the National Voters’ Register will take place between April 16 and April 20. 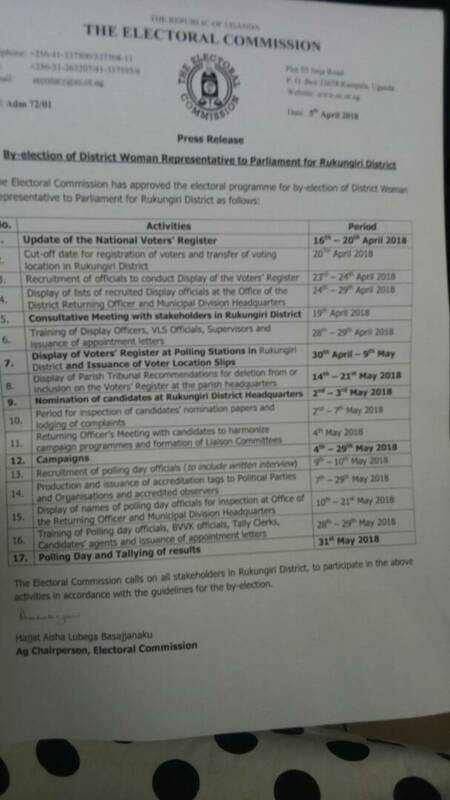 “Registration and transfer of voters from one polling station to another within the District will not be conducted after this date,” Hajjat Lubega said. She said the display of the voters’ register will be conducted from April 30 to May 9, 2018 at all the 280 polling stations in the district. Nomination of candidates will be conducted on May 2 and May 3 at the district headquarters, while campaign will begin on May 4 and May 29. Hajjat Lubega urged residents and candidates to abide by the roadmap to avoid clashing with security agencies. 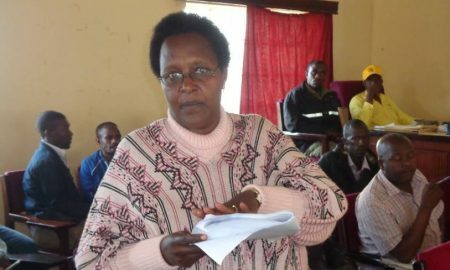 The district Woman MP seat fell vacant after Court of Appeal Justices Paul Mugambe and Justice Owiny Dolo nullified NRM’s Winnie Matsiko’ win for bribing voters. The two ordered the EC to organise fresh elections, and further ordered Matsiko to pay the petitioner, FDC’s Betty Muzanira Bamukwatsa costs she has incurred in prosecuting her petition.